Oil Charge 158.4 fl oz. Today’s consumer demand for safe, good-quality foods is prompting the entire food industry to make significant changes to their product and service offerings. But food manufacturing and service companies won’t be able to respond to these demands without having adequate and dependable cooling and refrigeration solutions. To support the efforts of the companies in the food industry, Compressors Unlimited can supply different commercial refrigeration compressor models on request, as well as parts and accessories, from one of the top commercial compressor manufacturers: Bitzer. Currently, Bitzer compressor models are renowned for their high-quality, reliable performance, and low maintenance. Food Safety – Instituting industry-specific procedures and practices is critically important in order to ensure full compliance with the latest standards for toxicological and microbiological hazards. Food Quality – In addition to providing the sensory characteristics expected (e.g. appearance, palatability, taste, aroma, etc. ), foods need to maintain their nutrient levels that contribute to human health. Food Value – Besides the nutritional value of foods, all food products must efficiently combine specific attributes, such as convenient packaging and prolonged shelf life, in order to deliver real value. Lack of adequate and reliable solutions for cooling, refrigerating, and freezing foods can compromise the safety, quality, and value of food products, and potentially lead to significant waste, revenue loss, and bad business reputation. 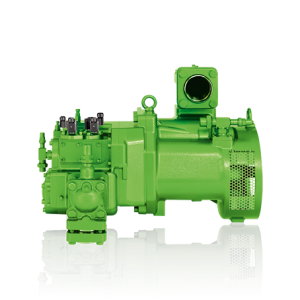 Because Bitzer compressor models are designed with a special focus on reliability, safety, energy-efficiency, and minimum maintenance, they have become critical components in a wide range of small- and large-capacity air conditioning and refrigeration applications, irrespective of the operating conditions. In food manufacturing and service facilities, the air conditioning systems are just as important as the refrigeration equipment. That’s because the indoor environment has a direct impact on the performance and efficiency of refrigeration units. Because the indoor environment plays an essential role in ensuring food quality and safety, we make available a variety of brand-new Bitzer compressor designs for refrigeration and air conditioning applications, in addition to remanufactured refrigeration compressors from other leading manufacturers. Whether you choose a factory-new Bitzer compressor or a remanufactured compressor for an air conditioning or refrigeration system, the high-quality products we supply will maintain the temperatures within the pre-established limits, preventing any fluctuations that could negatively impact the performance and efficiency of your air conditioning and refrigeration equipment.